WORKSHOP – this was a lovely day spent with Barbara in a one to one workshop. 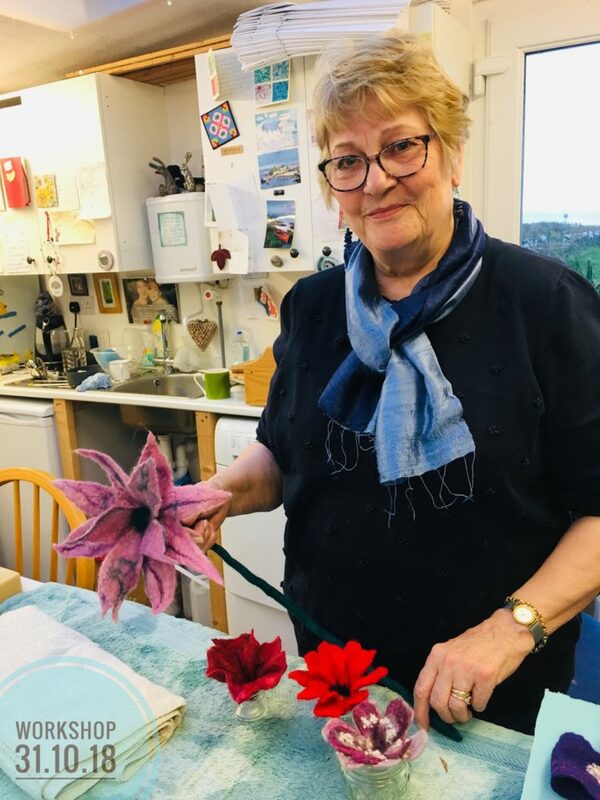 She had returned for her third workshop to update her skills in flower making and produced this wire wrapped stemmed flower with double layer of wet felted petals! She is going to bead and embellish when they are dry. She was able to do some experimenting with needle felting some shapes prior to wet felting flowers and was thrilled with her results.